Want to be updated with the latest WOK? Do you want to follow the latest Walks of Kulot? Enter your email address to subscribe to this blog and receive notifications of new WOKs! 25 Creatives. 17 Countries. One Passion. I WOK’D IN PADRE BURGOS. BE AN ASTRONAUT? WHY NOT. All articles and photos published in the ©WALKS OF KULOT are all original and property of the author, unless stated otherwise. Unauthorized use and/or duplication of this material without express and written permission from this blog’s author and/or owner is strictly prohibited. Excerpts and links may be used, provided that full and clear credit is given to Martin Flordeliza and ©WALKS OF KULOT with appropriate and specific direction to the original content. 2013, you were all about making things happen. I never thought that you will be kind to me. All I asked from you the previous year was to be as steadfast but I was surprised with your overflowing kindness – it was during your time that one of my biggest dreams became a reality. You gave me the opportunity to venture into new places, meet new people, rediscover my passion for creativity and learn from people never in my life I thought I would meet. You also gave me the confidence to once again go solo on a trip. It was fulfilling, at the same time it allowed me to revive my obsession for adventure. You also gave me the chance to reconnect with my long time friends I never met in years. Unfortunately, I also had to bid farewell to good friends who had to leave. But this taught me that true friends will remain the same despite the distance. For all your goodness, I am MORE than grateful. But 2013, before I drown in your entire splendor I realized that you’re not perfect at all. I guess there will never be a perfect year. But you taught me that it’s all about PERSPECTIVE. Good things happen to be appreciated, but you’ll appreciate it more when you know what it feels like to have nothing. So instead of wallowing on the negatives, accept and embrace those not-so-good memories because these might be a preparation for a better year ahead. 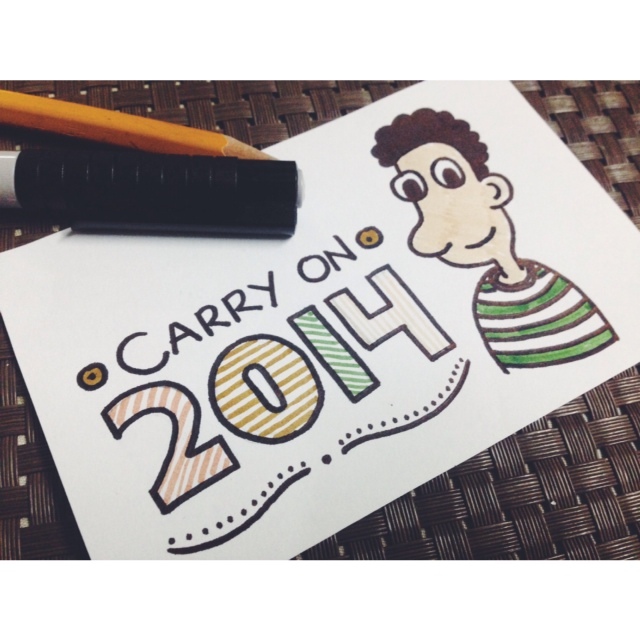 As I welcome a new fellow, 2014 – I ask you the same thing: Be as steadfast. May all the positive goodness of 2013 carry on. Again, no resolutions or promises to make instead I will continue to do things 2013 helped me carry through. 2013 was a launchpad to new goals, let’s make sure to make it happen. I will set my expectations low because I know you will never be perfect but I am confident that we will get through this ride together. Don’t worry I am getting the hang of it, little by little. Cheers to a meaningful and great year ahead!